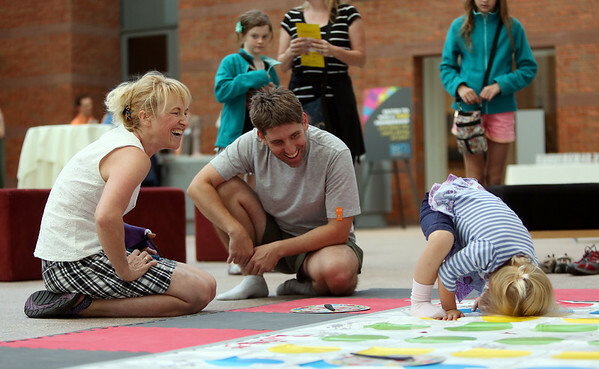 Three-year-old Lily Freitas, right, tries to figure out how to balance while playing twister, as her father Art, and her grandmother Kayla Kirkpatrick, of Salem, smile at her attempt at the Peabody Essex Museum's Throwback Game Night on Thursday evening. DAVID LE/Staff photo. 8/21/14.